Although AxisDirect is not really known so much when it comes to its trading platforms and their respective performances. 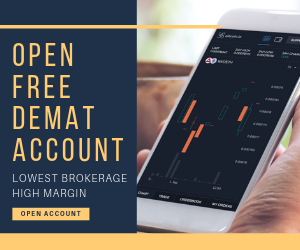 Although, this bank-based full-service stockbroker provides Axis Direct Mobile App as well as a Web-based trading platform titled Axis Direct Swift Trade but still the broker has a lot to work upon as far as the usage of technology is concerned. Like any other terminal solution, AxisDirect Trade requires you to download and install an EXE file onto your computer, laptop or desktop. Once you do that, you need to enter valid credentials before you start trading. You need Microsoft (R) .NET Framework 3.5 SP1 to run the application. Moving ahead, let’s talk about some of the features this terminal solution from AxisDirect offers to its clients. This is how the login screen of AxisDirect looks like where you need to enter your valid credentials. 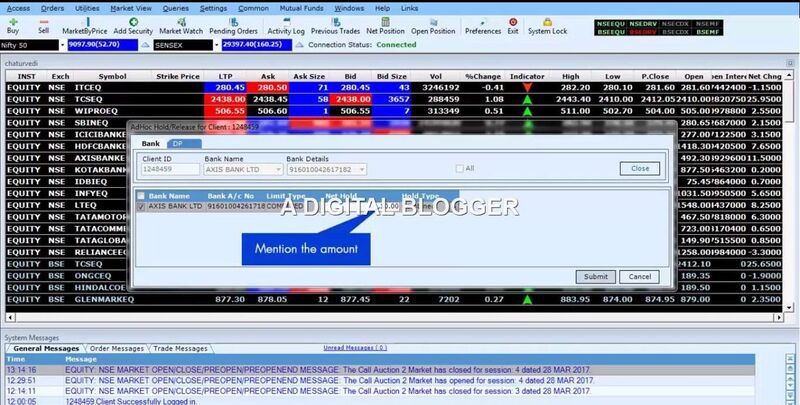 The application provides real-time live market streaming rates with the auto-refresh of stock-quotes. Placing Buy and Sell trades can be done directly through shortcut keys or menu options as per your preference. If you are looking to place a buy trade, just click on the ‘Buy’ button at the top left (after selecting a specific scrip) and a pop-up will be displayed to you. You will be required to fill in specific details around your order such as Bid price, quantity, index, order type etc. Once you do that the corresponding order will be executed. At the same time, if you are looking to place a sell-trade, you need to click on the ‘Sell’ icon and fill in corresponding details like done in case of Buy order, although few details may vary. 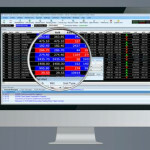 Not only the real-time market quotes, but the broker also claims that the trading platform provides instant order confirmations, order status, trade book and net position. 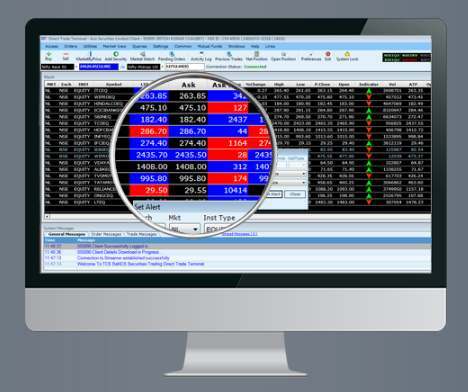 The trading platform also displays your trading limits, exposure or leverage values across segments and trading classes. You can create multiple market watchlists and track different stocks or contracts as per your preference. You also have the option to place quick orders directly through the watchlist including mutual funds order placement. You can transfer funds in and out with few clicks itself rather than going through a cumbersome process. 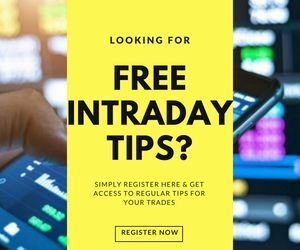 The application provides you shortcut keys for some of the functionalities including Buy Order, Sell Order, Order Book, Trade Book, Market Depth and more. Furthermore, you can customize shortcut keys for other features so that your overall trading becomes a personalized experience. The application provides you features such as confirmations of your trades placed, your open positions, auto-refresh of different feeds etc. Suitable for heavy level traders. You can trade across financial segments including Equity, Currency, Derivatives, Mutual funds and more. The application offers an exhaustive level of features in terms of the number of features and variety. 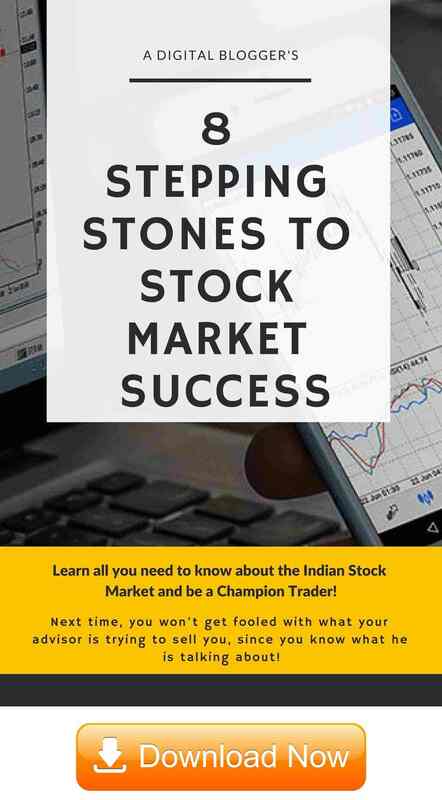 Since the stockbroker is a full-service stockbroker, you will be provided with daily tips and research reports at both fundamental and technical levels.